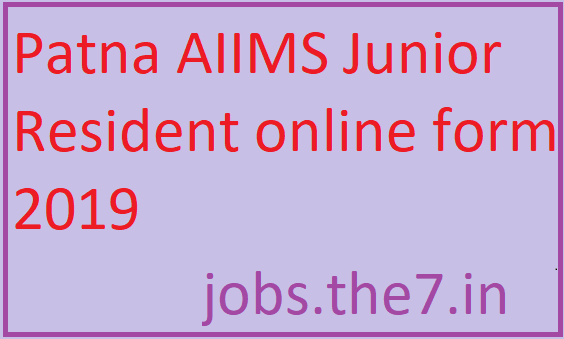 Patna AIIMS Junior Resident online form 2019 - Government Jobs, Sarkari Naukri, Sarkari Result, Admissions, Rojgar, Exams Alerts. 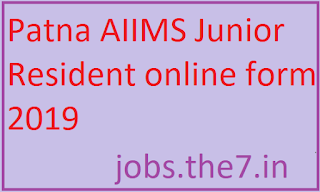 Payment Mode- Demand Draft drawn in favour of AIIMS Patna payable at Patna. MBBS Degree from a recognized University/Institute. Eligible candidates are requested to report on the date of interview along with originals, photocopies of all relevant documents and one passport size colour photograph at the time of Interview.